Very few areas of study capture the spirit of the Renaissance as much as astronomy, the area where physics overlapped with metaphysics and questioned both how and why the universe existed. Not only did astronomy see the greatest conflict between science and the church, but allegations of murder and wrongdoing befitting a Greek tragedy more than a history of science, in a display of academic jealousy taken to an extreme. During the Renaissance, scholars rediscovered the works of Plato as they filtered into Europe through Muslim Spain and Byzantium. To the scholars, Plato’s idea of a universe built around harmonic perfection seemed logical and they, like the Muslims before them, adopted Plato’s Algamest as the definitive work on astronomy. However, while Plato’s meticulous measurements and observations were found to be accurate, some scholars started to question the model, seeing it as cumbersome and over-intricate. In a huge shift, astronomers began to question the geocentric view of the universe, looking for viable alternatives. The first challenge to the Platonic model of the universe came from Copernicus (1473-1543) who, through intuition and indirect evidence, proposed that the Sun lay at the center of the universe. 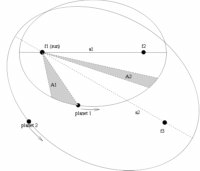 He still believed that the orbits of the planets around the sun were circular, and his model incorporated epicycles, but his model fitted the observed data much better and also took into account the retrograde motion of planets in the sky, a huge simplification of Plato’s cumbersome model. In his book, Commentariolus, (A Little Commentary), he surmised that the sun lay at the center of the universe, with the Earth and other planets revolving around it, with the moon revolving around the earth. This sparked great debate and Copernicus continually added to and amended his theory, using mathematics to show how his model worked. In 1543, a short time before his death, Copernicus published De Revolutionibus Orbium Coelestium (On the Revolutions of the Celestial Spheres), but this was banned by the Catholic Church, who felt that the new model for the universe bordered upon blasphemy. In the preface to the book, a Lutheran pastor called Andreas Osiander added that the book was only designed to help with astronomical calculations rather than state how the universe worked; however, Protestant resistance softened over time and Osiander proclaimed that he was a great admirer of Copernicus. For the first few decades after Copernicus’ death, his work was used for the mathematical accuracy rather than the theoretical principles. The Danish astronomer, Tycho Brahe, who had long since realized the importance of astronomy and of developing accurate charts and tables, adopted the ideas of Copernicus. He understood that many of the tables used were inaccurate and set about making even more precise measurements, persuading the Danish king to provide him with an island and the finances to build an observatory and stock it with the finest equipment. His observatory, Uraniborg, (Heavenly Castle), was finished in 1580 and Tycho, alongside a number of assistants, designed and built instruments. For the next two decades, Tycho meticulously scrutinized the skies, making measurements and updating the star charts. In 1597, the astronomer left Denmark and established an observatory in Prague, under the patronage of the Holy Roman Emperor, Rudolf II. Tycho was extremely impressed with the mathematical precision of Copernicus, but he could not accept the heliocentric model, designing a hybrid model that kept the Earth at the center of the universe. In his system, Tycho proposed that the Earth sat at the center of the universe, and the moon and sun revolved around it, with the five known planets circling the sun, and the stars inhabiting a region just outside that. He based this model on the idea that the Earth was unmoving and fixed because, he proposed, if the Earth orbited the sun, the nearest stars to the Earth would appear to move relative to further away stars. The other explanation was that the stars were too far away to notice any such shift, but Tycho rejected this idea, unwilling to accept that the universe was so large. Despite the inaccuracy in his theory, and the fact that few others accepted it, he contributed to the history of astronomy by making extremely accurate measurements and employing an assistant, Johannes Kepler, who would become one of the greatest astronomers of all. Johannes Kepler (December 27, 1571 – November 15, 1630), alongside Galileo, took astronomy to the next stage, building upon the work of Copernicus and Brahe and earned a place as a scholar who oversaw the movement towards the Enlightenment. He was fascinated by the structure of the universe and attempted to uncover the reason why the planets behaved as they did. He accepted the Copernican model and tried to devise models, using harmonics and even Platonic solids as the basis for a perfectly geometrical universe. He eventually reached Prague, where he became an assistant to Tycho Brahe, understanding that he needed access to the better quality data that only Brahe could provide. Brahe, slightly egotistical at the best of times, jealously guarded his data but, impressed by the keen mind and theoretical work of Kepler, gradually released more data. 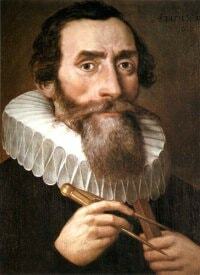 Kepler began to study the orbit of Mars, a study that would define his later work and theories. After Tycho’s death, in 1601, Kepler assumed his position and, with access to this accurate data, embarked upon a golden period of observation. Kepler inherited this information, but he felt that the Copernican model was better suited to the data. At the heart of this belief was the idea that the universe was geometrically perfect, with the planets and stars moving in an ordered fashion, a model that could be described mathematically; certainly, this model fitted the observations much better than the geocentric model with its epicycles within epicycles. However, it was not perfect, and there wee still many irregularities. Kepler was the first to throw another idea into the mix, that the data and observations could be explained if circles were taken out of the models and replaced with ellipses. Describing the orbits of the planets around the sun with eclipses fitted the data beautifully, a shift in attitudes. 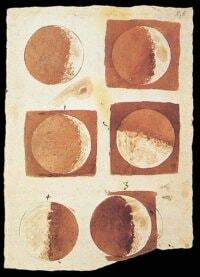 His ideas were verified by observations of a transit of Venus, in 1631, and Cassini’s observations of the sun, in 1655. This change in attitudes was a monumental paradigm shift, challenging philosophy and theology equally. Until Kepler, the circles were assumed to be correct – this allowed the earth or sun to be at the center of the universe, diving perfection and fitting the idea of a creation. Man automatically assumed that he was the center of the universe – the shift towards a heliocentric universe may have required a small shift but, as the sun was a life giver, this was acceptable to philosophers and theologians. Taking away this perfection, with ellipses, swept all of this away, with an ellipse having no central focus but two loci. Areas: Planets sweep out equal areas around the sun in equal timeframes, moving more quickly when they are close to the sun. These discoveries led him to adopt the Copernican view, that the sun lay at the center of the universe, and this would lead him into conflict with the Catholic Church. 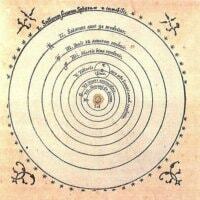 The church had banned all literature supporting the Copernican view, believing that it was heretical. In 1632, Galileo decided that it was safe to publish his work, and released his book, Dialog on the Great World Systems, although he tried to make clear that his ideas, based upon Copernican views, were theoretical concepts. 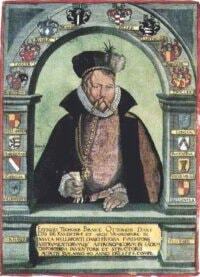 This was not enough and, in 1633, he was placed under house arrest, at the age of 70. He survived for 9 years but, in that time, he continued to contribute to science, working on the motion of bodies that would form the basis of Newton’s work on gravity. By this time, most scholars accepted the Copernican model, but the fear of the Inquisition kept them from exploring it further. These great astronomers began the modern science of astronomy, slowly dragging it away from religion and superstition. Although Kepler occasionally worked as an astrologer and believed in harmonics of the universe, his work on ellipses showed that the universe could not be perfect. The next stage of astronomy, during the Enlightenment, would be the continued discrediting of models built upon the idea of God's harmony. Of course, Galileo’s work on gravity would also prove crucial. Kepler also hinted at gravity in his work – his work diverged a little from Galileo in that he believed that the motion of the planets around the sun was a result of some force emanating from the sun, that kept the planets locked into these orbits and prevented them from falling straight towards the sun. It would not be until the time of Newton that this question would be answered.